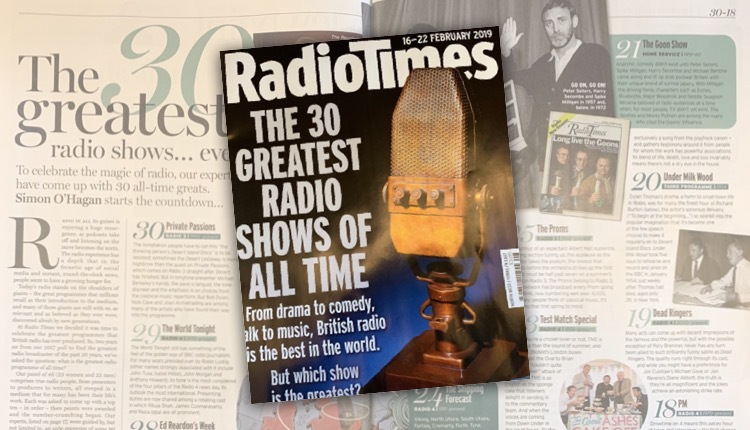 The Radio Times has named what it considers to be the ’30 greatest radio shows of all time’ – but every single one is a BBC programme. The magazine’s new edition contains a six-page feature counting down the shows – from Radio 3’s Private Passions at number 30 to Desert Island Discs at number 1. The panel of ‘experts’ that have helped to compile the Radio Times list are predominantly current and former BBC producers, presenters, contributors newsreaders and managers. The remainder include radio critics and columnists such as Gillian Reynolds, David Hepworth, Fiona Sturges – and the author of The Radio Companion, Paul Donovan. At the start of the article, the Radio Times delights in telling us that the panel of 46 people is made up of 23 women and 23 men and “comprises true radio people, from presenters to producers to writers, all steeped in a medium that for many has been their life’s work.” We’re told that the 46 panelists each came up with a Top 10, with points then awarded to compile the overall Top 30. The experts were given a list of 80 radio programmes – as an ‘aide memoire – but it’s not known whether any commercial radio shows were on that list. Responding on Twitter, the industry body The Radio Academy posted: “A list of really fantastic programmes there @RadioTimes – can we suggest the following additions? 23 of the 30 on the Radio Times list are are Radio 4 or Home Service programmes, 3 are from Radio 2 or the Light Programme, 3 from Radio 3/Third Programme and one from Radio 1 (John Peel). Other than John Peel’s show the only music radio format included is Radio 2’s Wake Up To Wogan, which is at number 12. Comedy programmes such as The Goon Show, Just A Minute, I’m Sorry I Haven’t A Clue, Round The Horne, Hancock’s Half Hour, On The Hour, Dead Ringers and The News Quiz all make the grade, along with news programmes including Today, PM and The World Tonight. Test Match Special is the only sports programme to make the list. What’s the problem? Name one commercial radio show that is better than those 30. The BBC produces quality content that is above and beyond that of commercial radio. Although numbers 9 and 21 would seem appropriate for the BBC!! I can think of several programmes on Classic FM & LBC that should have made that list. Only one programme from each of Radio 1 & Radio 2 (post-1967) has made the list, despite all of the excellent output those stations have produced in the last fifty years, and nothing at all from 6 Music. .
It’s snobbery, Radio Times readers don’t listen to those networks so they have ignored them. and Gerald Harper on Capital. 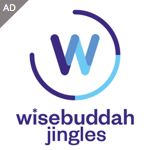 To be honest I’m apt to agree with you, but only because I have a limited attention span listening, or watching, commercial stations, there’s only so many times that someone trying to sell me some old tat before I zone out and go and do something more interesting than listening to yet another advert. What about Hospital Radio’s contribution? Love the ‘program’ which is at No.24. ‘At least in Britain nobody Starves’ Dec 1980 followed by Captal/City Lynda Chalker Phone In on the economic effects of the Thatcher government and there was an exccellent one on the sinking of a Liverpool Merchant vessel with the loss of many lives in World War 2 or, The Story of Pooular Radio series with Denis Norden – Piccadily radio. I’m sure the lists are endless. MD Philip Birch had excellnt shows presented by well known names on Piccadilly by the likes of Steve England, Roger Day, Steve Penk, and Andy Peebles. But, speaking as a mere listener, have we not allowed this to come to pass with the closing down of regional and local stations and replacing them with bland netword programmes controlled by large conglomerates. Creativity is dead now surely, so perhaps thats what the BBC is crowing about and wiping the slate of the history of creativity by commercial radio, clean. The BBC doesn’t own the Radio Times now. OK, so what National non BBC show should have been included? The juvenile and vastly overhyped Christian O’Connell? Frank Skinner’s cure for narcolepsy? Chris Evans just doing what he did on BBC Radio? TalkSPORT 2’s embarrassing attempt to cover cricket? When Independent radio actually produces more than tabloid trash then it may have a case, until then we will fondly remember Alastair and John, and just mention that Annie Nightingale should have been included. “Frank Skinner’s cure for narcolepsy?” I don’t get it. Is that a show? Or does it mean that Frank Skinner’s show keeps you awake even if you suffer from this serious illness? I guess I’d agree without about half a dozen of the ones on the list.There are some odd selections such as why The World Tonight and not The World at One.Also just because a show is long running doesn’t necessarily make it good.Anyway it seems a typical list of people who rarely hear anything apart from Radio 4 with a few token bits from other BBC stations that they feel ought to be there.As to commercial stations I don’t think I would include any shows from today but they have produced some very enjoyable programmes over the years especially in the days when there was much specialist output that wasn’t merely pop music and there were some real gems in the schedules.There are many Light Programme/Radio 2 comedy and music shows missed out here too. Talking of Desert Island discs,I would have put in My Top 12 from Radio 1 which was also enjoyable and you heard more of the music!.Family Favourites was a programme always on in my childhood along with Junior Choice-far more so than The Archers,plus Clitheroe Kid,Billy Cotton and John Dunn on Radio Two at teatime was excellent for many years.Some of the programmes on the list whilst no doubt very worthy aren’t really a fair reflection on the variety available. There is a way forward here if the industry is prepared to look hard at itself. Let us have our local FM frequencies back, they have taken when they are trying to create networked automated programming and abolish the ridiculous restrictive finacing arrangements on community Radio so those stations can start to produce local home grown talent again. ‘Regional’ stations can be allowed to carry their networked blandness, but make them produce some genuine original talented shows as well! Our local stations have been bought again in the North West, a very profitable highly populated area from Livepool to Manchester with even a local station having a TSA of at least 100.000. By the end of the month they will propbably become networked Greatest Hits Radio as has happened to the popular Radio City 2..
Its our local FM frequencies they want, not our creativity!! Regional & local programmes had no chance of making this list, so I’m not sure how this is relevant to the article. How on earth have they missed out Pat Sharp ? My commercial radio list would include, all from London Radio. 1″ The Bob( Holness), and Douglas( Cameron) breakfast show on LBC, a truly great show. 2″The Murray, and Jones Show”, Pete, and Steve , rocking on Saturday night on a version of LBC. 3.Brian Hayes interviewing everybody superbly. 4.The greatest drive time music( country) show ever, Randell Lee Rose on Country 1035, and current joys include Bob Mills, and Howard Hughes on Talk Radio. I know most are London shows, but that’s where I listen. Bob Mills? Dear god. Almost as unfunny as Al Murray. I wouldn’t take judges who feel that The Shipping Forecast is better than most BBC output, virtually all of Radio 1’s history and the entirety of commercial radio too seriously, tbh. The look of the top 30 without commercial radio don’t surprise me what are we looking at from commercial stations these days same old same old case of the computer playing everything no proper input from the presenter sad but true i love radio but sadly falling out with what’s i get or maybe have to listen to. But the number of people who have heard The BRMB Breakfast Show with Les Ross (not including me as I lived in Southampton) verses the number that have heard The Hitch Hikers Guide to the Universe is why one is in the list and one is not. Who in Scotland would have voted for Capital Breakfast with Chris Tarrant. With the wind in the right direction some in Scotland may have voted for Metro, but I doubt it. Commercial radio until the last few years has been Local and competing against TV and now iPod/iPhones where as, as Tony Hancock put it, there was only so many baths you could take on a Sunday afternoon so 2:02pm on the light programme was mass listening. (Note here that Swansea Sound used to close down on Sunday Afternoons) Commercal Radio has been mostly music radio where the programming was the music and not so much the speech. With the wind in the right direction, at night in Scotland I can occasionally pick up the London AM frequency of Gold London. Roger Scott’s Three o’clock Thrill and Cruisin’ on Capital; Peter Young’s Soul Cellar (Capital/Jazz FM); Top Twenty (Radio Luxembourg); Johnnie Walker (Radio Caroline); Jensen’s Dimensions (Radio Luxembourg). I don’t know why people are upset about this list. It appears to be predominantly R4 shows. After all, doesn’t most commercial radio consist of quick news bulletin, travel, play a song, inane and innocuous banter (unless of course you are less Ross interviewing Hardeep Sincoli, I’m too lazy to check the spelling of his name), another song, a competition to win some money, more travel, etc, etc. Number one show IMHO is Michael Jayston reading Geoffrey Household’s Rogue Male but that probably doesn’t count! A real treat for the ears made all the better with Philip Glass’s Fascades for the haunting music. The usual whingeing from commercial radio when their lowest common denominator output is unfavourably compared with the far superior offering from the BBC. How do they expect the pap they currently serve up to feature in a list containing quality programming like The Hitchhiker’s Guide to the Galaxy or From Our Own Correspondent? Nick Ferrari or Alan Brazil really don’t come anywhere close! Nor does repeating the same 50 songs on a constant loop interspersed with poorly produced adverts and 30 second links read from a cue card by an automaton. Instead of BBC-bashing commercial radio should focus on the quality of its own programming. Global and Bauer make plenty of money each year, how about channelling more of it into programme development rather than lining the pockets of shareholders? Your argument would hold more weight if the judging panel wasn’t dominated by current and former employees of BBC Radio. They were hardly likely to vote for commercial radio shows and upset their employer were they? Radio 4 costs £110m a year to run, there isn’t a single commercial radio station that could afford that, even if they didn’t pay dividends to shareholders. It should be about what you do with a limited budget. My granny wants to know why ” Chapel in the Valley” with Sandy McPherson, and his organ isn’t on the list. She loved it on a Sunday morning along with ” Down your Way”, ” At the Luscombes”, and ” Ignorance is Bliss”. She is a big fan of reruns of “Parsley Sidings ” on 4 xtra. She also says where is” Mrs Dales Dairy” on the list? They should have stated the top 30 from the BBC. If it’s of all time they should have included more than just BBC. Kam Kelly & Sally in the mornings – Galaxy 101. South Wales & The South West of England. Up until 2000. Granny,s been remembering again. ” Gunsmoke”( radio version) on BBC radio with William Conrad, ” Dapple Downs”, and” Moment of Terror” with Valentine Shall( both on Capital Radio), Alan Freed on Luxembourg, and ” The Petticoat line”. Granny likes old TV shows on you tube too,” Dragnet”,”Highway Patrol, ” and ” My Mother the Car.” Her favourite film is ” Isn’t it Shocking” with Alan Alda, Ruth Gordon, and Edmond O Brien. Music by Mr Didi Conn, David Shire. Kenny Everett on Capital. Nuff said. Completely shocked that such finely crafted gems as ‘Sally and Mark in the morning ‘, ‘Saturday Nite Dance Party ‘, Skool Daze ‘ ‘Non Stop Hits all night long ‘ etc didn’t feature. There were some great programmes in the early days of both Capital Radio and GLR. But nationally, what about the Sunday evening Pick Of The Pops/Top 20/Top 40 show? It seems to have a big place in the nation’s collective memory.